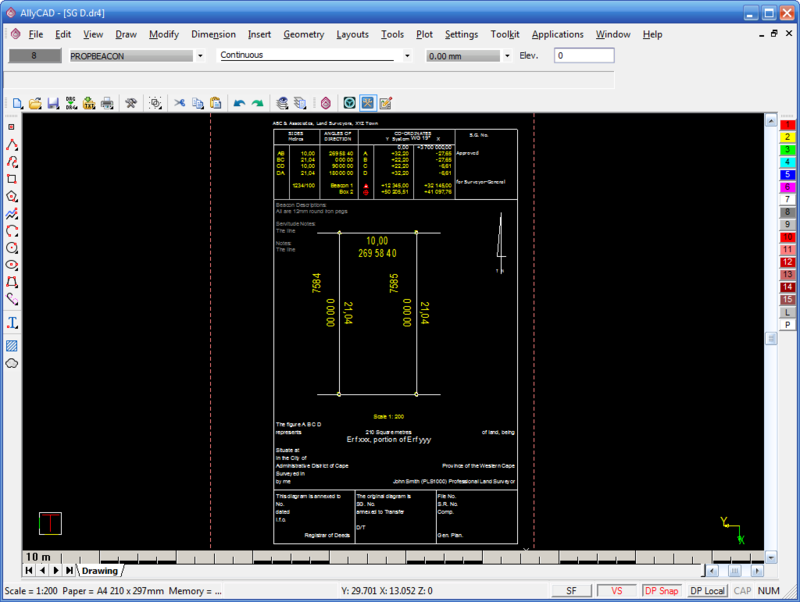 The Survey Toolkit allows easy generation of Survey General diagrams, General Plans and Sectional Plans. The Toolkit is categorized into these 3 broad parts. 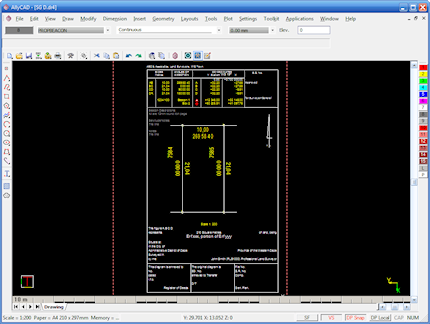 The Survey Toolkit allows easy generation of Survey General diagrams, General Plans and Sectional Plans. Survey points can be imported, exported, added, located and connected. 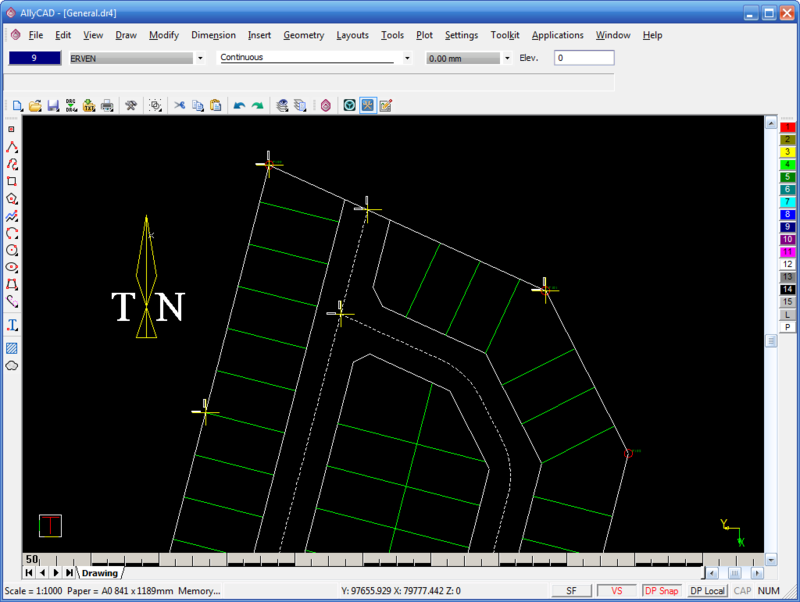 Generate cadastral diagrams and general plans in a 'ready to lodge' state. 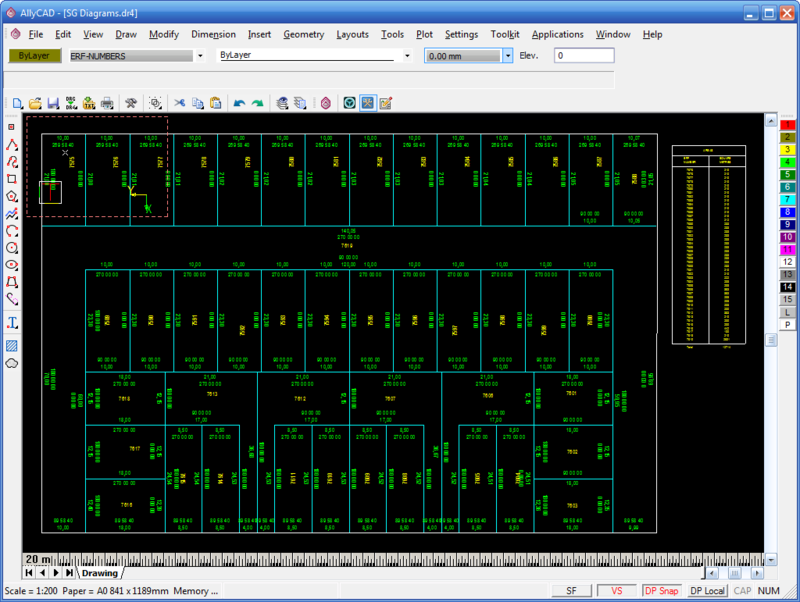 Use an existing layout plan and convert it to a General Plan or generate diagrams of individual erven. The Survey toolkit is categorized into three broad parts. Firstly, it consists of a few simple functions that offer assistance in drafting survey plans, secondly, it provides some basic point manipulation functions and thirdly, it offers a suite of functions specifically intended for Land Surveyors and town planners. The suite of functions specific to Land Surveyors, assist in preparing cadastral diagrams and general plans for Surveyor General submission. The drafting tools include useful additional routines for simplifying common tasks when preparing or working with survey drawing grid crosses, north signs and adding street numbers to an erf layout. Drawing grid crosses, north signs. The point manipulation functions allow you to import and export a range of numerically named points, drawing dimensioned lines between them and calculating new points in a survey tache or traverse way. 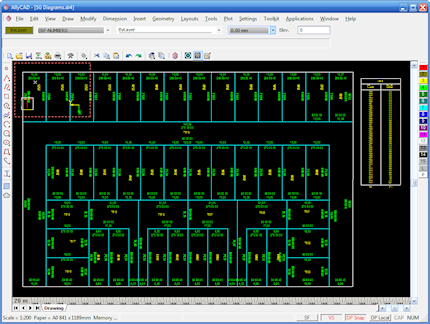 For diagrams, starting with a layout plan you trace the outside figure of the erf or farm and then the toolkit generates the correctly tabled and annotated diagram. 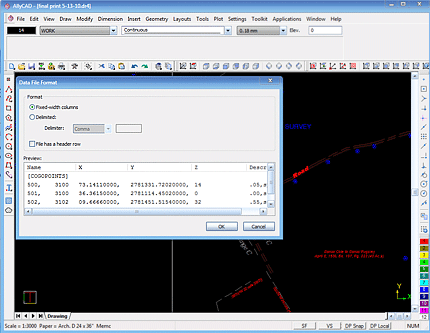 For general plans the existing layout drawing can be fully dimensioned, and all required tables generated. In terms of Dimensioning, all polygons that have been given an identifying (erf) number can be automatically dimensioned. This means that the entire GP can be dimensioned in one go. The dimensioning algorithm is intelligent enough to place the dimension on the correct side of the line or alternatively, to straddle the line as applicable. Road reserves are kept free of dimensions. This routine is continually being refined and works really well. Tables for the outside figure data, block corner, reference mark, control coordinate tables, and the erf areas listing, are all drawn as part of the toolkit.